trowel – All Things AAFS! 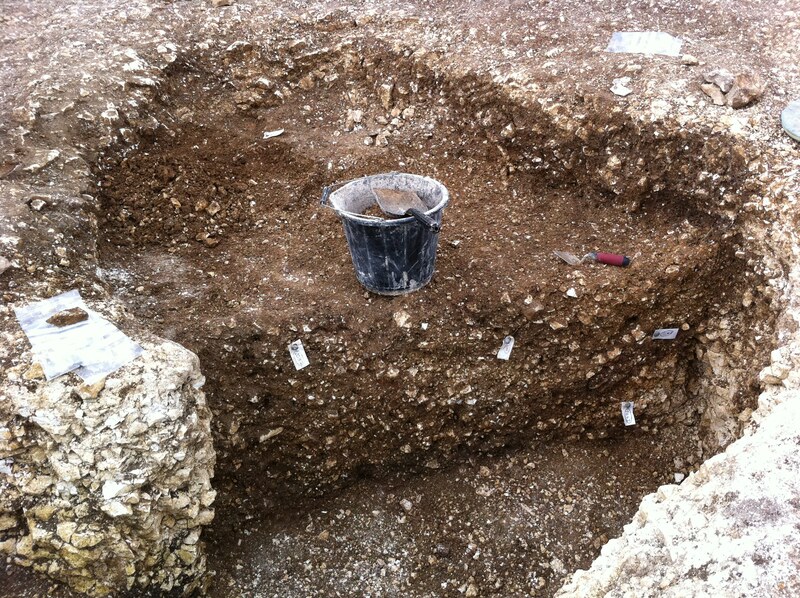 Panoramic view of the site – Day 5, clearing the topsoil to show off the hidden features. 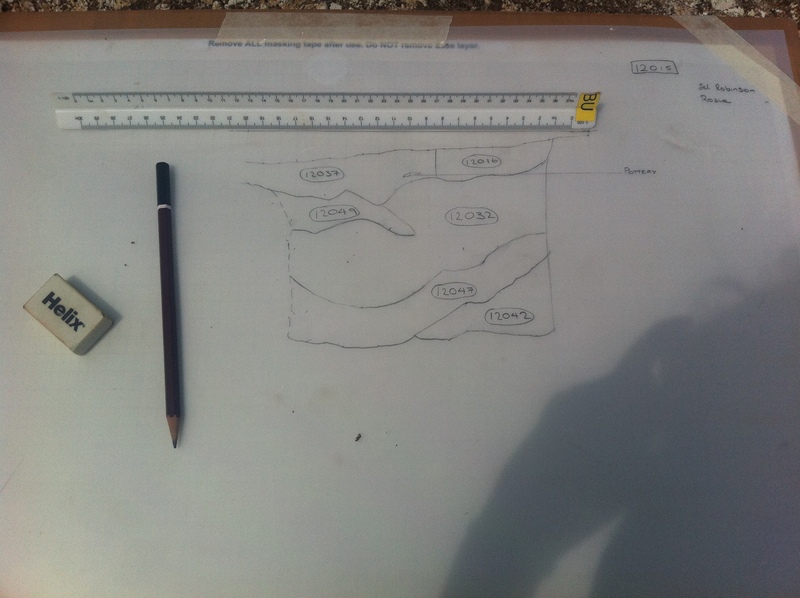 Here is a blog post with some chosen photos from my time on the Durotriges Big Dig – held yearly by Bournemouth University. I went on this excavation as part of my first year units where I had to be part of this experience for the whole of June. We worked from 8-5pm every day and only had Sundays off. It really opened my eyes to the world of archaeology and gripped me and pushed me to carry on doing my course.This site is aged to be that of late Iron Age – Roman and is situated in Dorset, England and there is a Roman villa situated on site along with numerous houses. I was allocated my own pit, which was a midden (refuse pit), where I was lucky enough to stumble upon two skeletons – one juvenile and one perinatal. It was amazing to have such a hands on experience so soon after starting my degree. 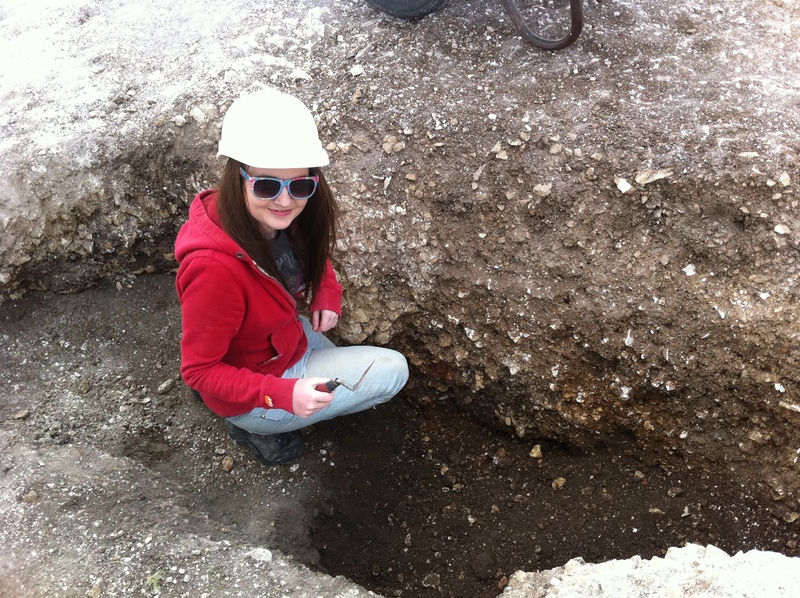 Here I am in my pit, doing an action shot with my trusty 4inch trowel! I had to wear a hard hat as the midden was more than 1m in depth and there is hard/sharp chalk everywhere! Here is a whole over shot of my lovely midden. 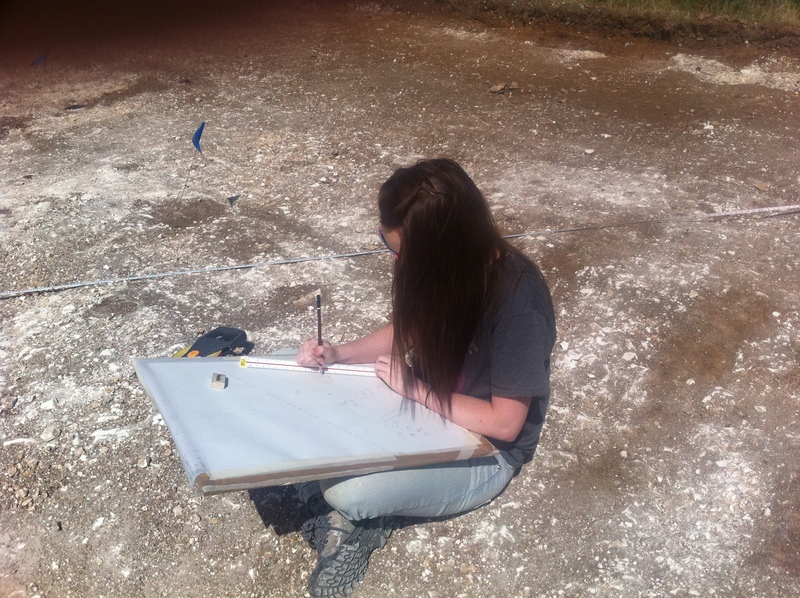 Here I am recording the contexts of my pit when it was newly uncovered with a clean edge to visualise the different colours/sediment types. Here is my first ever context plan! 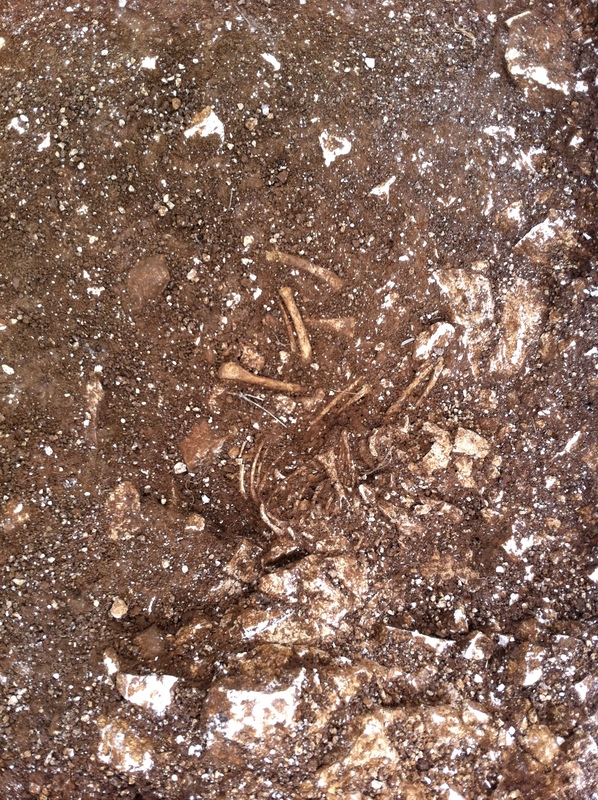 And this is my perinatal skeleton which I lifted and stored away and cared for over the last 2 weeks of my dig. 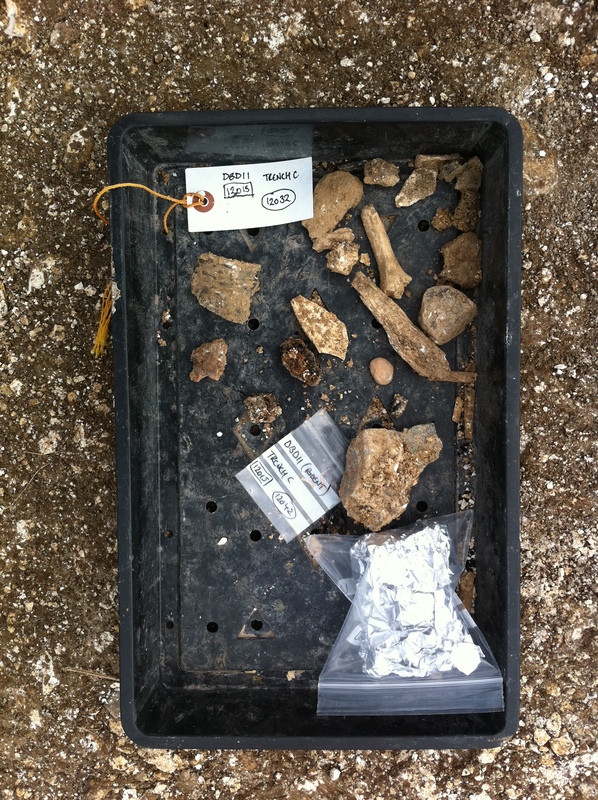 On of the many finds trays I went through – you can see the bones, bits of pottery and other goodies I found. In the evidence bag/foil is a huge lump of charcoal which was sent to the lab to be dated. I had so much fun on this excavation and really enjoyed the teamwork and community whilst we all shared each others wheelbarrows when we needed to get rid of our useless dirt.